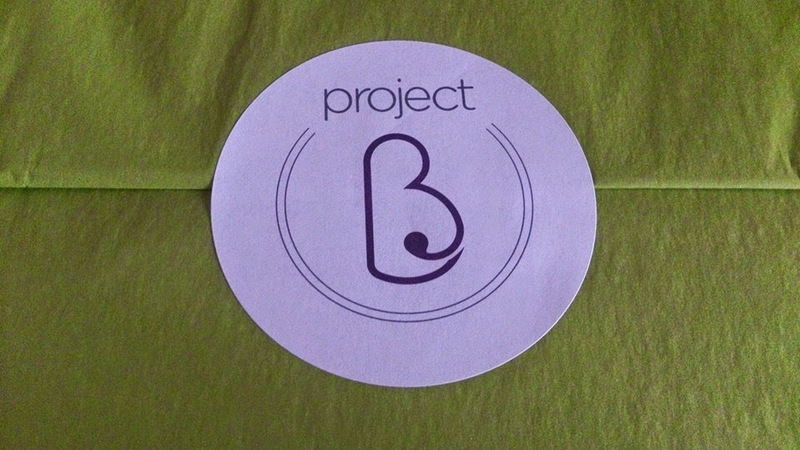 I have recently been given the opportunity to review several pregnancy boxes from the fab company Project B! 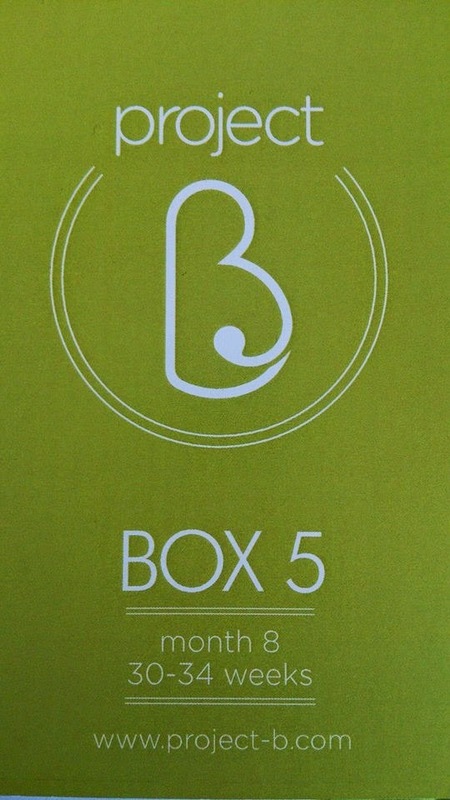 As I was around 33 weeks when I received my first box I was sent box 5 which is aimed at mothers 30-34 weeks pregnant. My box arrived very quickly (all Project B boxes are dispatched on the 1st of every month) and I was so excited to see what was inside! As my pregnancy has gone on I have got to the normal fed up stage (I just want to meet my little peanut!) and the constant heartburn, sickness and sore hips and ankles do have a way of getting you down! So having something to look forward to was great! Each box costs just £14 per month with the products inside worth much more! 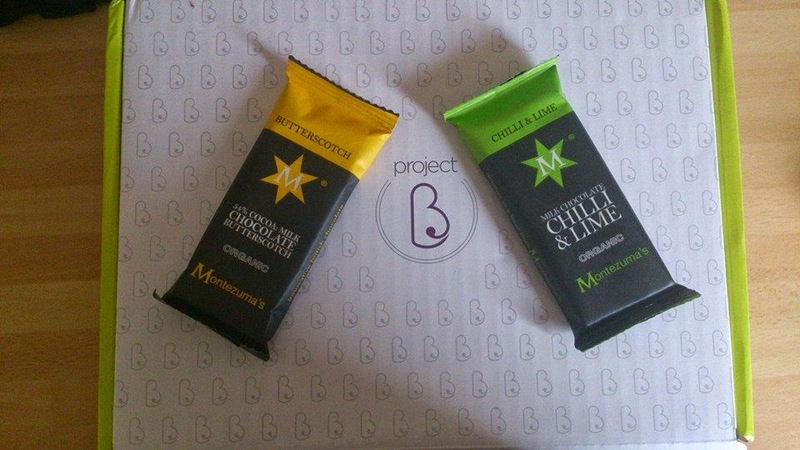 First up inside were 2 bars of Montezuma's Organic Mini Me Chocolate Bars. (I was given the Butterscotch and Chilli and Lime flavours in my box). I've had a complete sweet tooth this pregnancy so was delighted to see some chocolate in the box! The butterscotch flavour was delicious and really sweet so the small bar was more than enough. The chilli and lime flavour had a real citrus tang to it and the chilli really warmed the back of your throat! Next up was Weleda Perineum Massage Oil. I have been considering Perineum massage lately (anything to avoid the stitches after birth lol!) so it was great this was in my box as it gave me a good excuse to give it a go. Its a 50ml bottle and comes with clear instructions on how to do the massage (which was great as I was a little clueless lol) and it was great to see a full size product in the box. 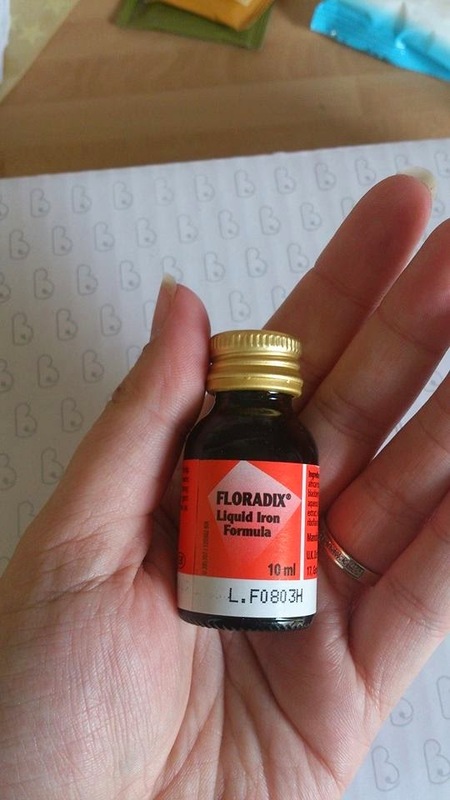 Next up Floradix Liquid Iron Formula. I already currently take a pregnancy vitamin which contains iron, However with my baby brain in full force there have been occasions i have forgotten to take it before heading out the door and this little 10ml bottle has been great to pop into my handbag and take some if I had forgotten to take my vitamin that morning. It really doesn't taste that bad either lol! The box also contained Laboraide. I hadn't heard of these before but I anything that claims to help with pain in labour is worth a look in my eyes lol. "Laboraide is a new, innovative natural birthing device to help reduce both the pain and duration of labour. 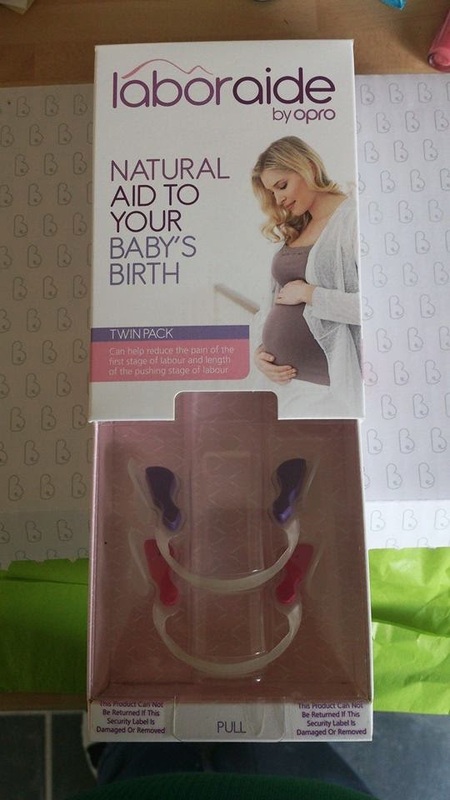 This dental support device is designed to be used during both first and second stages of labour to help reduce the pain naturally by relaxing the jaw and keeping the mouth open that then eases the neck and shoulders down to the core muscles." 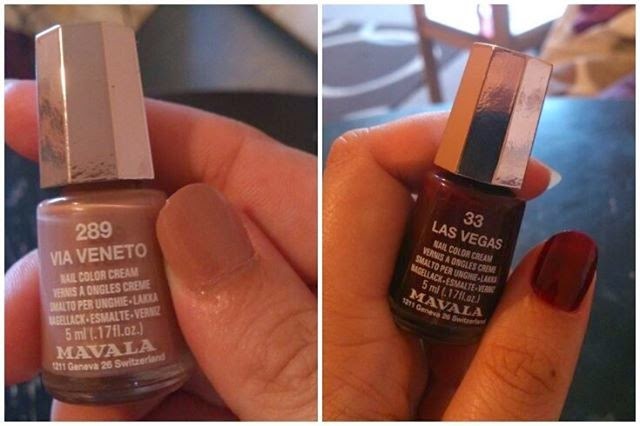 The product looks like it could be worn discreetly and look to be easy to use. I have popped them into my hospital bad and will be giving them a go when I go into labour. With an RRP of around £19.99 this is the most expensive item in the box. It was really nice to see these in the box and gave me a great excuse to have some me time and paint my nails. I love the darker colour and think it would look great on feet. The pale pink colour is also lovely and makes a great day to day colour for hands. Both nail varnishes went on really easily and passed the ultimate mummy test (they remained chip free through a full day of washing up and playing with my little man lol!). 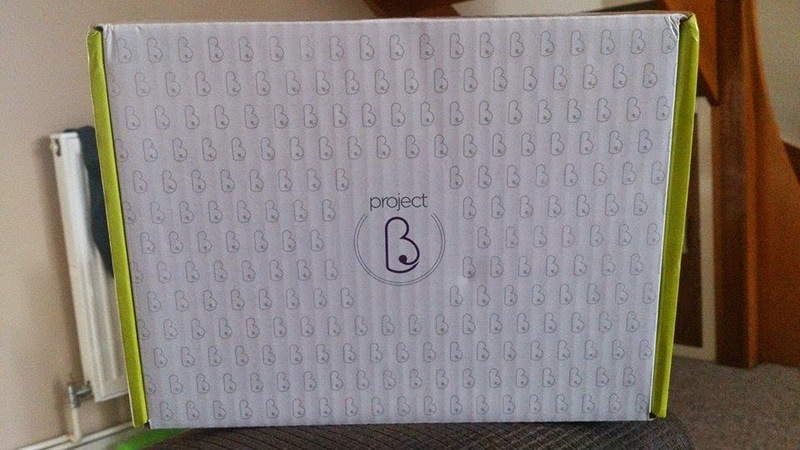 After my first box I would definitely recommend Project B boxes and cant wait to see what is inside the next one! It was great to have so many new products I hadn't heard of before to try out and some i will be continuing to purchase after getting the chance to try them out! At £14 per box/month I thought this was a great price and the products inside really were worth a lot more. this sounds like such a good idea for expecting mums! the price isn't too bad either considering the contents! What an interesting idea, I never knew such gift boxes were available. This is such a great idea! I am not pregnant myself, but a few of my friends are, so I shall be letting them know about it. A great variety of products there for a low cost - great! What a lovely variety of products. So nice to have a mixture of practical and treats. What a great box....Reasonably priced too! Ooh pregnancy boxes are a good idea. I know a few people that are pregnant right now but I would hesitate in buying them a box like this because I'm not sure what they already have and whether they would use some of these things. Ooo, I may have to pick up one of these for my pregnant friend :D Great post - I didn't know these even existed till now!!! Wow! I wish I had one of these when I was pregnant! Such fantastic and useful products!